Whenever you are knitting and want to widen the shape of your fabric, you need to increase the number of stitches in each row or round. There are a variety of methods to do this, but one I frequently use is the lifted increase. Lifted increases are made by working an extra stitch into the stitch that's two rows/rounds below the row/round you are knitting. 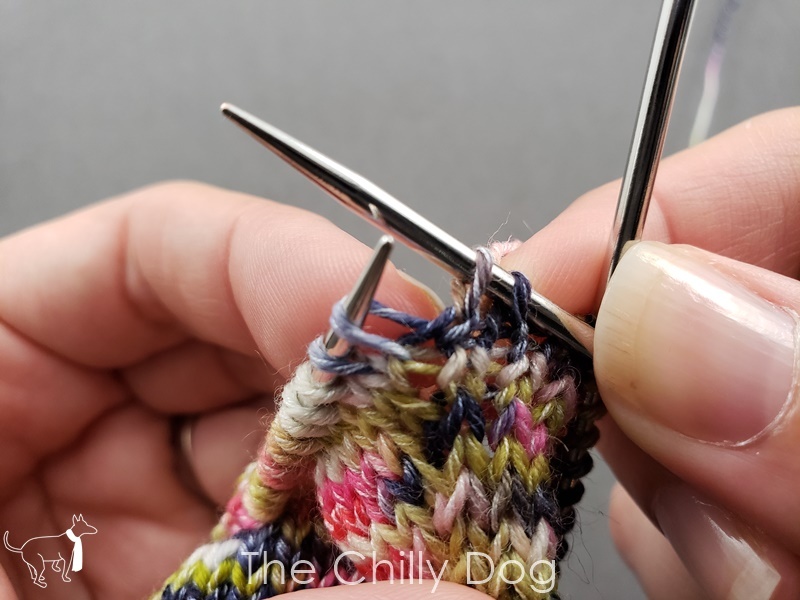 Adding a stitch this way doesn't create a noticeable hole or bump in your fabric. There is one thing to be aware of when using lifted increases. They do cause your stitches to slant in a specific direction. Thanks to Skacel for providing the Schoppel Boots yarn used in this tutorial. This yarn is available locally at many yarn shops and online at Makers' Mercantile. 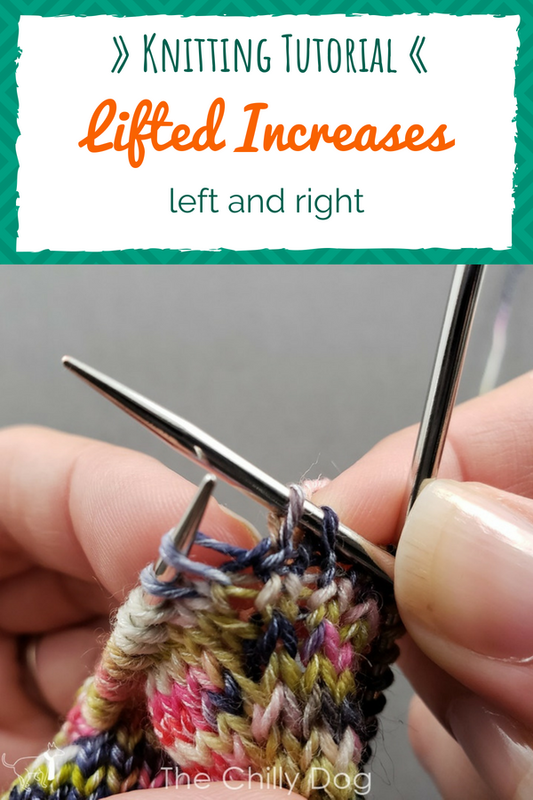 A left or right slanting lifted increase can be used to shape knit fabric without creating any noticeable holes or bumps.